I made 63 dishes out of How to Cook Everything Vegetarian. A stunning performance. Although Alice Waters' Art of Simple Food scored a tiny bit better, I prefer How to Cook Everything Vegetarian for its scope, imagination, flexibility, and general friendliness. Mark Bittman's recipes are easy and mostly wonderful. Not a single complete dud out of 63 recipes? Dude. A few criticisms: There are a number of trivial errors in here, repetitions, discontinuities, obvious goofs. For instance, in the intro to his recipe for cheese shortbread: "After just one of these crisp, melt-in-your mouth snacks you'll never want another of those bright orange cheese puffs (gougeres.)" I think he means Cheetos. Particularly because he published a recipe for gougeres in How to Cook Everything where he describes them as "almost perfect finger food." Significant? Of course not. This is small stuff in a great, fat, generous book. He's bitten off a lot here, which is admirable. He just needs a proofreader. Back to Bittman: While his breads disappoint me*, I have other cookbooks I can use for baking. And if you really want to delve deeply into a specific cuisine, or a specific dish, or bread, you should go to a dedicated cookbook anyway. Bittman is a generalist. He's not aiming for the most authentic, best-of-show saag paneer, or tamale, or sandwich bread. What he wants is to give you the confidence and know-how to make not so much everything as anything, using ingredients you might find at Stop & Shop. He's an enabling cook, not a prissy standard-bearer, and we need that. *I don't include his phenomenal no-knead bread in this criticism. I've made said bread, as has half the world, and it's truly a miracle, even though it melted the knob off my dutch oven. 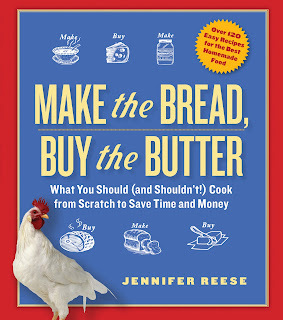 The no-knead bread doesn't appear in this book. Tipsy -- These was a great entry. 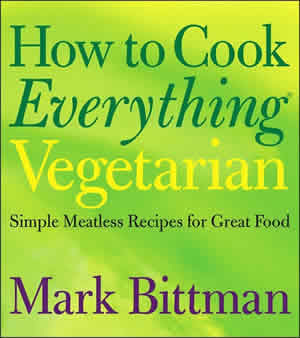 I hope Mr. Bittman reads it some day to see how much his work was appreciated by a serious cook like yourself. I have been cooking out of this book and am not loving it yet. What were the great dishes? I'd love to try them. I found all the How to Cook Vegetarian posts. Lots of great recipes from Bittman that I haven't tried yet. I started with two indian recipes and got a bad impression, so I will definitely revisit. I'm very happy with it. I've cooked out of it every day since I got it and I'm sure this will be one of my `go-to' cookbooks for years to come.